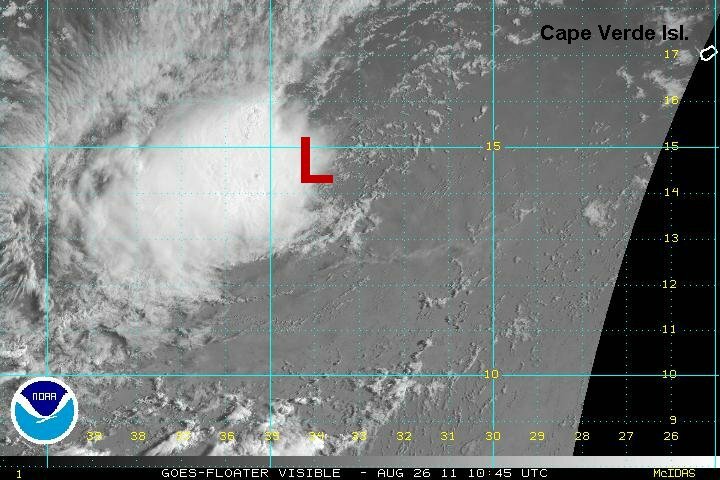 It looks like a tropical storm has formed about 300 miles southwest of the Cape Verde Islands. A more complete update will be available tomorrow morning. 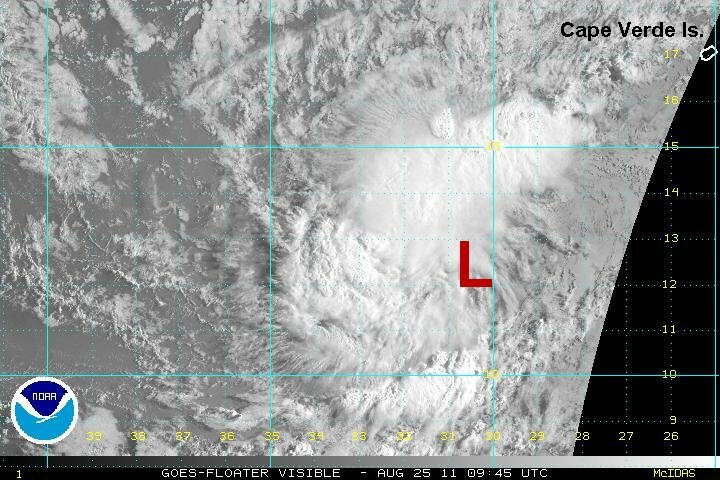 Visible satellite imagery confirms that a low center has formed wsw of the Cape Verde Islands. Conditions are favorable for initial strengthening and TD 10 should be named tropical storm Jose today. As of 5 am est / ast TD 10 was centered 12.4 N / 30.4 W or about 435 miles wsw of the southern Cape Verde Islands. It was moving wnw at 13 mph. Top sustained winds estimated at 35 mph. Pressure 1007 mb. Forecast models take the low northwest into the open north Atlantic. Since the low is not yet well developed models should be viewed with caution. Visible satellite imagery shows that TD 10 is probably tropical storm Jose now. Easterly wind shear continues to keep the deep convection mostly to the west of the circulation center. As of 5 am est / ast TD 10 was centered 14.5 N / 33.7 W or about 620 miles west of the southern Cape Verde Islands. It was moving wnw at 9 mph. Top sustained winds estimated at 40 ( 35 mph NHC ). Pressure 1009 mb. Forecast models take the low northwest into the open north Atlantic.